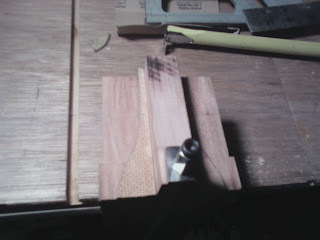 I made a couple templates out of some old drawer bottom material – cutting them out on the scroll saw and used them to mark the heel back (shown here). 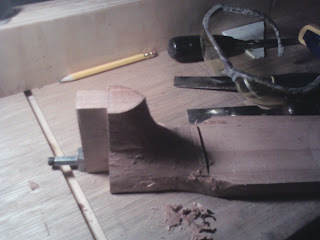 And heel cap shown here. You only make half the template so the final is symmetrical. 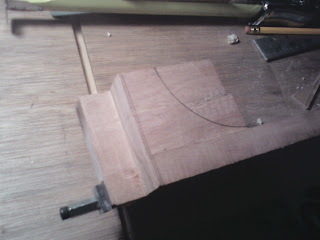 Used a cap to my zip-ties container for the arc from the neck to the heel 4.5" diameter – worked well. 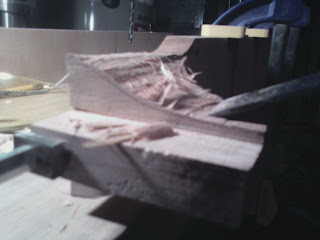 Used the coping saw to remove the bulk of material. 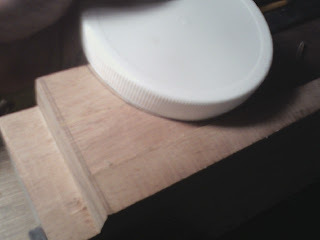 I use a fresh blade and it still took forever. 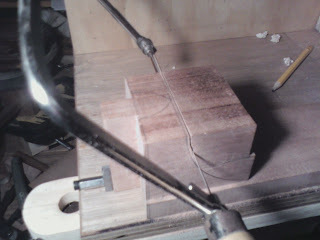 I also needed to use bee-wax to get the blade to move freely once about half-way through. My hand started to cramp up after a while of cutting, this took a long time. 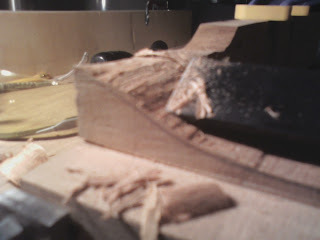 Remove more material with the chisel. 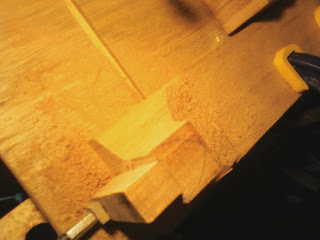 Rough shape completed. 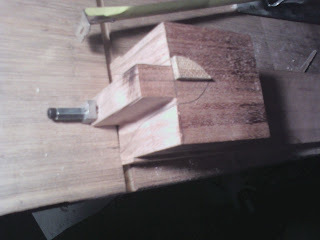 Need to finish up with wood rasps, files and rough sandpaper.